YogaMatching breath with movement, explore the fundamental principles and foundational yoga poses at the heart of Vinyasa Flow. This slower-paced class is perfect if you prefer a more gentle practice or as an introduction to Vinyasa Flow. We offer a mellow flow and yin-yoga styles to help align your body, facilitate a meditative mind/body connection, calm your nervous system and compliment our yang-style training classes. with Yoga Instructor Suzanne EvenSuzanne's teaching style offers a blend of Hatha, Vinyasa and Bhakti styles of Yoga along with a focus on postural alignment. She holds B.S. degree in Health and Human Science and is a Certified Holistic Health Coach as well as a Certified Reiki Practitioner. Having always been passionate about wellness on every level, Suzanne sought tools that would lead to the balance of a healthy mind, body and soul. She learned through my own challenges and setbacks that through a consistent and committed Yoga practice this balance could be achieved. By embracing the philosophy and soulful teachings of Yoga, she was able to experience and express those thoughts and feelings through the physical postures. Suzanne creates the space and offers instruction in her classes and private sessions for students to explore and express what they learn through their own Yoga practice. She guides students in developing better body awareness and safe postural alignment as well as in improving their strength and mobility. In addition, students can experience an introspective awareness and inner growth through healing chants,profound breathing exercises and a philosophical focus. [divider marginbottom="0" margintop="10"] Varying both in length and skill level for the beginner, intermediate and more advanced yogi. 12:00 pm to 12:55 pm Must pre-register. Max 10 people/class. $20 cash drop ins or $10 with IBP punchcard. YogaMatching breath with movement, explore the fundamental principles and foundational yoga poses at the heart of Vinyasa Flow. This slower-paced class is perfect if you prefer a more gentle practice or as an introduction to Vinyasa Flow. We offer a mellow flow and yin-yoga styles to help align your body, facilitate a meditative mind/body connection, calm your nervous system and compliment our yang-style training classes. with Yoga Instructor & Functional Movement Coach Siera Smith Siera Smith is a Certified Yoga Instructor with a background in Personal Training and Functional Movement. 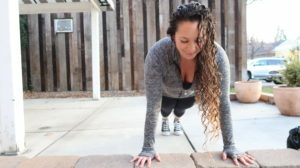 She enjoys exploring holistic wellness technique and pairing it with athletic training, as well as practices like yin yoga. She enjoys being outdoors, spending time with loved ones, socializing with new people and helping people learn. Her goal is to help everyday people get grounded in their life and their bodies, by teaching them different ways of training their bodies. She recognizes the need to bridge the gap between fitness and health, and aims to do so through her yoga teachings. Siera grew up with a mother who's been in the fitness industry for 35 years, and her father is a holistic chiropractor. As a teen and young adult, she was an avid athlete who enjoyed the competitive side of training. Siera shifted from personal training athletes to also including everyday people who need support. "As a yoga teacher I strive to teach my students how to live in their bodies, and use a meditative mind to stay present on and off the yoga mat. It is my pleasure to guide to my students toward a more balanced way of living. See you on the mat! Namaste,"
Pop Up WorkoutsPop Up Workouts are workouts we add on top of our class schedule! Locations may vary from indoor to outdoors. These workouts are added by request and by your trainers to mix up your workouts and have fun! Each workout is customized with your personal trainer. You can expect a high energy, focused & efficient workout for long-term results. All fitness levels are welcome Consistency and dedication is essential to getting results. We are working to add more after-work classes to our schedule. Keep requesting! We often add them on long weekends, or when our normal classes are full. with Yoga Instructor & Functional Movement Coach Siera Smith Siera Smith is a Certified Yoga Instructor with a background in Personal Training and Functional Movement. She enjoys exploring holistic wellness technique and pairing it with athletic training, as well as practices like yin yoga. She enjoys being outdoors, spending time with loved ones, socializing with new people and helping people learn. Her goal is to help everyday people get grounded in their life and their bodies, by teaching them different ways of training their bodies. She recognizes the need to bridge the gap between fitness and health, and aims to do so through her yoga teachings. Siera grew up with a mother who's been in the fitness industry for 35 years, and her father is a holistic chiropractor. As a teen and young adult, she was an avid athlete who enjoyed the competitive side of training. Siera shifted from personal training athletes to also including everyday people who need support.